Available in two models and five vibrant colors, the Aculon T01 offers the best of both worlds, combining a sleek new look with traditional Nikon quality and durability. 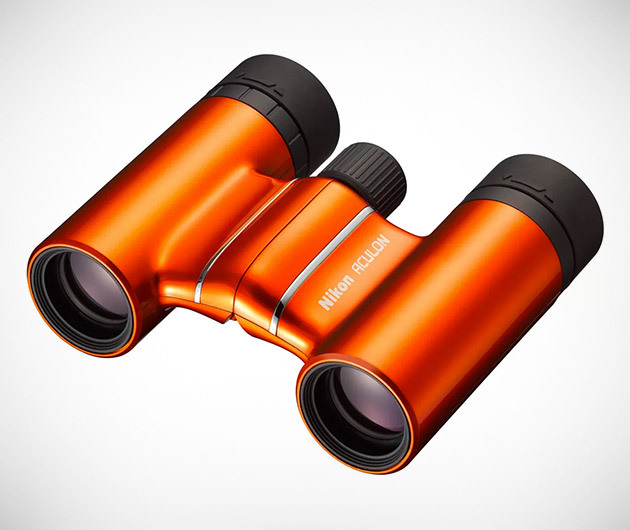 It offers 8x to 10x magnification in a compact and portable package, making it ideal for lugging to outdoor events or vacations. Features include, multilayer-coated Eco-Glass lenses, rubber eyecups, ergonomic design, and more.